Are you coming to The Great Eketahuna Cheese Festival? Extra cold storage has been ordered, display tables are being sourced, and across our little nation cheese makers, mongers and fanatics are getting ready to descend on Manawatu for The Great Eketahuna Cheese Festival on Monday 14 May 2018. I can not wait! The Great Eketahuna Cheese Festival is a celebration of small and artisan cheesemakers, a chance for New Zealand and international cheese heads to come together for the love of fromage. If you get a chance, pop in, there is a lively programme, there’ll be plenty of cheese to taste, and lots of cheesy fun to be had. It kicks off on Sunday 13th May, 3pm- 4:30pm with a light-hearted talk and tasting by cheesemonger Calum Hodgson aka @CurdNerd. Then on Monday 14th May, from 9:30am the Eketahuna Community Centre will be open to the public. The festival will be opened by Minister of Primary Industries, Agriculture, Bio-Security and Rural Communities Damien O’Connor and then there’ll be a chance to talk to the makers, sample and buy their cheese. 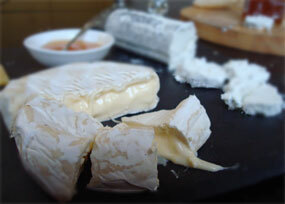 At 2:30pm Biddy Fraser will open the afternoon session with a light-hearted intro to cheese making. She’s a hoot so I have no doubt the afternoon’s seminars and panel discussion will be full of great stories and lively debate. This is an exciting milestone for New Zealand cheese, it’s wonderful to see small and artisan cheesemakers and mongers emerge from behind the big cheeses of Fonterra and the likes. And as a cheese fiend I am proud to be able to attend. I’ll also take one for the team and fully expect to return to Wellie with a fully belly, a happy heart and a large hoard of cheese! Oops I’ll change it now!